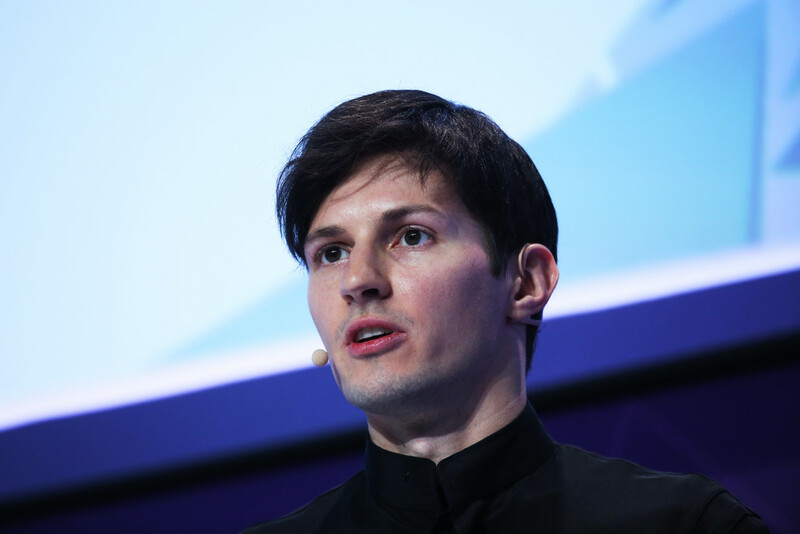 Pavel Durov, chief executive officer of Telegram, speaks during a keynote session at the Mobile World Congress in Barcelona, Feb. 23, 2016. TELEGRAM FOUNDER AND CEO Pavel Durov built a messaging app predicated upon its ability to keep private things private, so it’s no surprise that he agrees with Apple on the issue of encryption. “I would definitely side with Tim Cook on this,” he said on Tuesday, speaking at Mobile World Congress in Barcelona. The surprise may be just how much his opinion matters. Less than three years after Durov and his brother launched Telegram, he now reports that 100 million people use the free encrypted messaging app every month, up from 60 million people last May. That growth is coming from all over the world. While that’s a small number compared withthe billion people who pull up WhatsApp every month, or the 800 million people who go on Facebook Messenger, it’s illustrative of the early growth that signaled each of these services had mainstream appeal. “Every day, 350,000 new users sign up for Telegram,” Durov said. “And we have zero marking budget.” In other words, Telegram is not going away. The app gained notoriety last fall when, in the wake of the November 13 terrorist attacks on Paris, it was revealed that members of the Islamic State may have used Telegram to help coordinate the attacks. A couple months earlier, Telegram had launched public channels, which let people and groups broadcast messages on the service. The Islamic State used those channels to broadcast propaganda. But no one—not even Durov—can divine how terrorists may have used the private channels on the app to coordinate their efforts because those channels are encrypted. Still, Telegram moved quickly after the attacks to remove 78 public channels that were sharing Islamic State materials. In the 13 minutes Durov spoke at Mobile World Congress, he didn’t discuss terrorism, but Fortune writer Vivienne Walt today published an extensive profile of the reclusive Russian founder in which he makes his opinion clear that regulating against encryption will not stop terrorists. “If you block sites like Telegram,” he told Walt, “the terrorists will not even notice.” The implication there being that whoever wants encryption will find it. Durov and his older brother, Nikolai Durov, founded the Russian social network VKontakte—known as the Facebook of Russia—in 2006. It was later renamed VK, and after several run-ins with the Russian government, Durov sold his shares in the company in 2013. In April of 2014, after he refused to hand over personal data from Ukraine opposition leaders from their VK accounts during Russia’s war with the Ukraine, he was fired from his role as CEO of VK, and quickly left the country. Walt reports that the brothers bought themselves citizenship on the Caribbean island of St. Kitts so they could move freely around Europe and moved their $300 million fortune to a Swiss bank account. Their new project, which started as an encrypted messaging system the brothers could use to send messages to themselves without worrying about surveillance from the Russian security services, became Telegram. Currently, Durov has taken no outside investments. He and his team of 15 Russian entrepreneurs run Telegram from a series of hotels or homes rented off Airbnb in different European cities, moving every month or two. Walt reports that Telegram is registered in several countries including the United Kingdom. The company is currently spending a million dollars of Durov’s own money each month to keep the app running; eventually, Durov intends to focus on creating a business model that could lead to actual profits. For now, however, Durov will keep focused on getting more people to use the service–people who like their messages to be private.